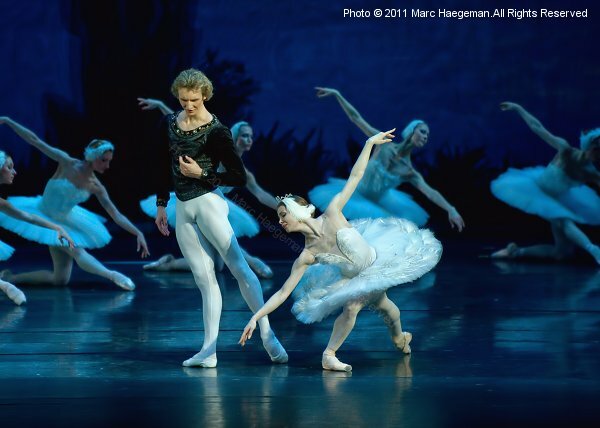 The anticipated debut of Evgenia Obraztsova in Swan Lake took place in Moscow with the Stanislavsky Ballet. One of the most remarkable ballerinas of the Mariinsky Ballet, so far Obraztsova has been denied the much coveted role of Odette-Odile by her home company. Seeing her perform at the Stanislavsky and Nemirovich-Danchenko Moscow Music Theatre on 23 April 2011 made that refusal look utterly pointless. 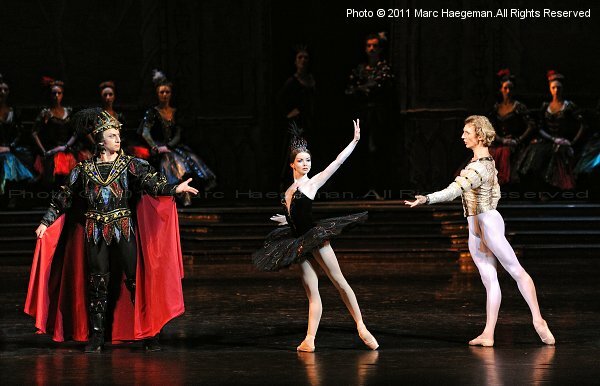 Evgenia Obraztsova was joined by Semyon Chudin as Siegfried, Anton Domashev as Rothbart, and artists of the Stanislavsky Ballet. Choreography and staging by Vladimir Bourmeister. Choreography of the 2nd Act by Lev Ivanov, revived by Pyotr Gusev. Set design by Vladimir Arefiev. Photos with kind permission of V.G. Urin, General Director, and the artistic staff of the Stanislavsky Theatre. With special thanks to Vladimir Vasiliev and Marina Panfilovich.